In the face of objections from the United Nations and the world community and most importantly, supported by the United States, Israel continues to defy the entire world by colonising the Palestinian people, in a manner not unlike the former Bantu Stance of apartheid South Africa. Speaking at the United Nations General Assembly in September, where Palestine is a permanent observer, St Vincent and the Grenadines Prime Minister Dr Ralph Gonsalves lambasted the "impotence of learned helplessness and the tyranny of fossilised inaction", which he said has allowed for "the continued and manifestly unjust exclusion of many nations from the promise of an integrated world. "The people of the State of Palestine are victims of this impotence, despite overwhelming recognition of Palestine and the obvious need for an independent, contiguous, internationally supported State, living in peace alongside it’s Israeli neighbours," said Gonsalves. "With each passing day, and with each land grab and illegal settlement by Israel, a two-State solution becomes ever more remote, and instability in the Middle East becomes all but guaranteed," he added. Jamaica was a leader in the dismantling of Apartheid South Africa, and Jamaica was one of the world's vociferous voices against the injustice against the Palestinians and Black People in Israel. What is it that the JLP administration is seeking from Israel that cannot be had anywhere else in return for the highly important and priceless legitimacy that the recognition of Israel by Jamaica can offer that country? Why should the government of Jamaica sell its soul to the devil when the Israeli attitude to Ethipoians and black people in that country has been so repulsive? The question is often asked, do black lives matter in Israel? Occupied East Jerusalem - "It's hard not to get detained here," 16-year-old Abdallah Balalawi, an Afro-Palestinian from Chad, told Al Jazeera from his home in the Old City. "I have to be aware of the way I look and even the way I walk to avoid making the Israelis suspicious." Most Afro-Palestinians in this tight-knit community came to the region as religious pilgrims during the British Mandate for Palestine, and many have been part of the Palestinian resistance movement since Israel's establishment in 1948. Others arrived as volunteers with the Egyptian army to fight against Zionist militias taking control of historic Palestine during the Arab-Israeli war. The community has played a pivotal role in the history of Palestinian resistance. 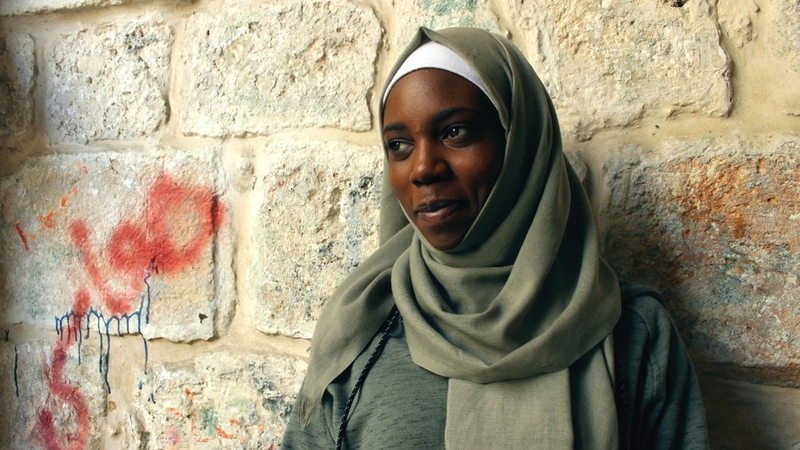 Locals say that the first Palestinian woman to be imprisoned for a paramilitary operation against Israel was Fatima Barnawi, a Nigerian-Palestinian detained in 1967 for the attempted bombing of an Israeli cinema in West Jerusalem. Yet decades later, Afro-Palestinian youth continue to live their daily lives under Israeli control. At just 17, Abdallah's cousin, Jibrin, has already been detained five times by Israeli forces, mostly over allegations that he threw stones at Israeli police and military officers. While he and his friends face the same harassment as other Palestinians, he said, they sometimes experience "double-racism" for both being Palestinian and having dark skin. "The soldiers are always cursing at me and interrogating me when I pass them. They try to provoke me so that I do something they could get me in trouble for," Jibrin told Al Jazeera, noting that he has been beaten several times by Israeli police and soldiers during detentions. "Most of those in my generation have the same experiences," he added with a shrug. "It's routine." Growing up under the constant presence of Israeli soldiers, police and checkpoints, Jibrin's sister, Ruaa, 18, told Al Jazeera that the militarisation of the Old City felt "normal". But watching Jibrin leave home every day fills her with dread, as Israeli forces "constantly harass young Palestinian men", she said. Ruaa, now studying psychology at Al-Quds University, said that in the future she wants to develop lectures for young Palestinians in occupied East Jerusalem, to teach them how to deal with Israeli police and soldiers in hopes of preventing their arrest. Ali Jiddeh, a long-standing leader in the Afro-Palestinian community, said that Israel's harassment and routine detention of Palestinian youth has intensified since a wave of violence erupted in late 2015. "You have to notice these soldiers," Jiddeh told Al Jazeera. "They focus on the young generation of girls and boys, because they are the main element of this uprising. They interrogate them and humiliate them in front of everyone. Eventually, the youth can't take it any more, and they explode." But this generation of Afro-Palestinians is different from those before, Jiddeh added: "They are watching TV and constantly browsing the internet. They make comparisons with what they see in other countries. From a very young age, they realise life under occupation is not normal." For Jibrin, education is the most important tool of resistance for his generation. "If I am educated, I can challenge this occupation more effectively than by throwing stones," he said. However, education in the Old City is far from immune from Israel's occupation. Most of the youth in the community attend the nearby Dar al-Aytam school, a target of frequent Israeli raids. Saed Firawi, a 17-year-old Sudanese-Palestinian, said students merely have to "throw a plastic bottle" to prompt Israeli forces to raid the entire school and fire tear gas at students and staff. Meanwhile, Saed's cousin, Ali, 18, was detained by Israeli forces the night before crucial examinations that determine students' eligibility to graduate; sleep-deprived and shaken, he ultimately failed. The Israeli occupation has also ruptured Ali's family life. At the age of 16, his brother, Mohammad, was sentenced last year in an Israeli court to eight years in prison after authorities accused him of dropping a large rock on the head of an Israeli soldier, paralysing him. Ali contends that his brother was innocent, claiming that Israeli forces used the allegations "as an excuse" to lock up Mohammad for his political activism. Ali and his siblings have not been allowed to visit their brother in prison because of what the Israelis have deemed "security concerns", while the family's home has been repeatedly raided by Israeli forces. Mohammad Qous, 17, whose father's family migrated to historic Palestine from Chad, has big goals for the future, aiming to study in Switzerland in the coming months. Always on edge, Mohammad said, he must remain calm and collected when dealing with Israeli forces, since one wrong move could send him to prison and destroy his future dreams. One day when Mohammad was late for school, he recalls rushing past Israeli police, who stopped him to search his belongings. "They found my house key and began interrogating me about what I was doing with it, saying that I could stab someone with it," he said, noting that the soldiers allowed him to pass only after he showed them his US passport. Mohammad's sister, Shaden, 14, said it was difficult to hold out much hope for Palestine in the years ahead. "In East Jerusalem, it's different for us," she told Al Jazeera. "I think Palestinians in other places have more hope. But we live with the Israelis. It has become part of our lives." Still, this has not stopped her from resisting the Israeli occupation in her own way. Shaden considers the dabke, a traditional Palestinian dance, to be a powerful form of resistance to Israel's colonisation. "It's a creative way of resisting. It keeps our Palestinian traditions alive, and we all know the Israelis don't like it," she said with a smile. A member of the el-Funoun Palestinian dance group, Shaden and her fellow members also attempt to boycott Israeli products in occupied East Jerusalem whenever possible. Her brother, meanwhile, echoed the feeling of despair expressed by numerous youths in the Afro-Palestinian community: "We've been resisting Israel since 1948 and nothing has changed," Mohammad said. "Nonviolence hasn't worked; violence hasn't worked. I really don't know what any of us should do any more."